How do you know if you have # 3138 or # 3137 ? I also have these but I'm sure what you mean by it extends through the backing paper. I have the single stamp on the card- is it have any value ? I worked at the P.O. 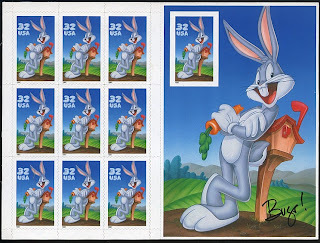 in 1997 and bought a First Day Issue Bugs Bunny 10 stamps framed with Warner Bros.Studios Burbank,CA May 22,1997 little plaque in the frame saying all the above. I wonder what it is worth today? 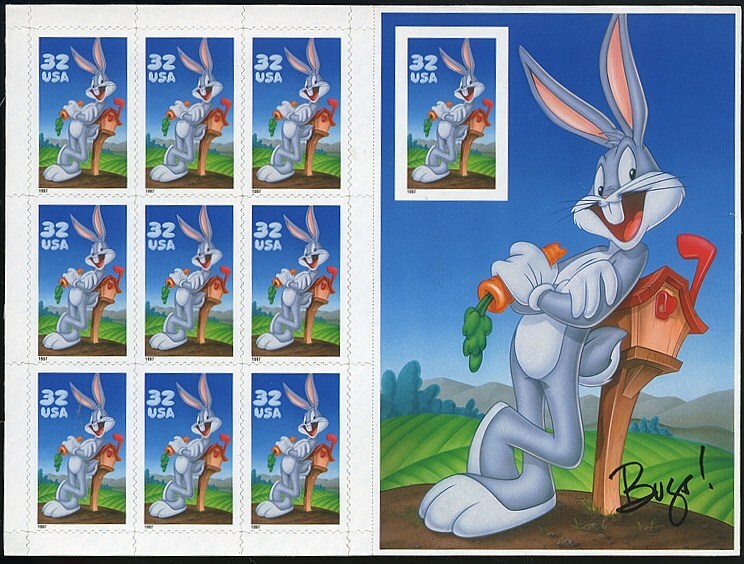 I have a Bugs Bunny 1998 stamp booklet that the single stamp on the left is not centered. The perforation cuts into the blue border. Could this be and imperfection and collectible? Thanks. Superb kind of work by the writer as on this particular topic people needs more precise information and special attention to it.Thanks a lot.